Referrals are customers that an agent is NOT currently working with. To qualify as a referral, the customer should not have had contact with an agent or brokerage firm. By calling the Referral Center first, you can help ensure that the referral will qualify as a referral. Brokerage companies are more than happy to accept a referral and pay a referral fee as long as they have not already been working with the customer. 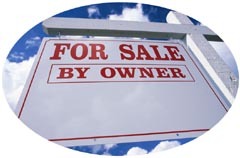 Your own personal real estate transactions can be registered as referrals through the Referral Center. It is always best to call the Referral Center BEFORE you have contact with a brokerage company or an agent.